Mark Toomey (alto sax); Jeremy McMurray (piano); Pete Ayton (bass ); and Paul Smith (drums). The Dormans Jazz Festival got off to a flying start with this highly accomplished band paying tribute to Charlie Parker and leader Mark demonstrating his in-depth familiarity of the repertoire. The bebop standard Au Privave was an excellent opener, then, by way of contrast, All The Things You Are. Beautifully melodic in keeping with the original. This was a very tight quartet with outstanding solos from sax, piano and bass. Continuing in the Bird-like vein we had the Latin flavoured My Little Suede Shoes, the classic Just Friends and then the lovely ballad This Is Always, once recorded by vocalist Earl Coleman with the Parker Quartet that included Erroll Garner on piano. No vocalist here but fine piano by Jeremy. The first set finished with Ray Noble’s Cherokee. Brought out of the dance band setting by Parker, tonight’s version clearly demonstrated the ability of these four musicians to play this up-tempo piece so well with impressive solos all round. A favourite of mine, Ornithology, started the second session in style, followed by Out of Nowhere and Parker’s Mood. The lovely Star Eyes preceded the finishing number Wee played fast and furious with a terrific drum solo by Paul. Such was the enthusiasm from the audience that an encore was demanded and this was the beautifully played On a Slow Boat to China. 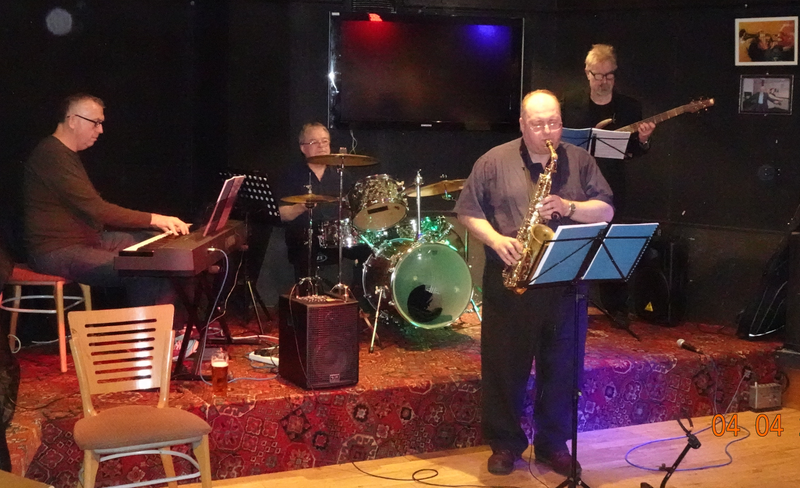 An excellent start to the festival by a top class quartet comprising some of the best Teesside based jazz musicians and well supported by a large and appreciative audience, with thanks going to Dormans Club for their generous support of the local jazz scene.